Hi everyone! 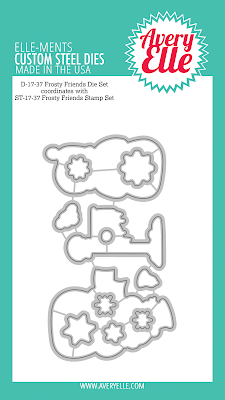 This week we are featuring project examples using our new Frosty Friends Clear Stamps & Dies. I hope you love the projects as much as I do!! 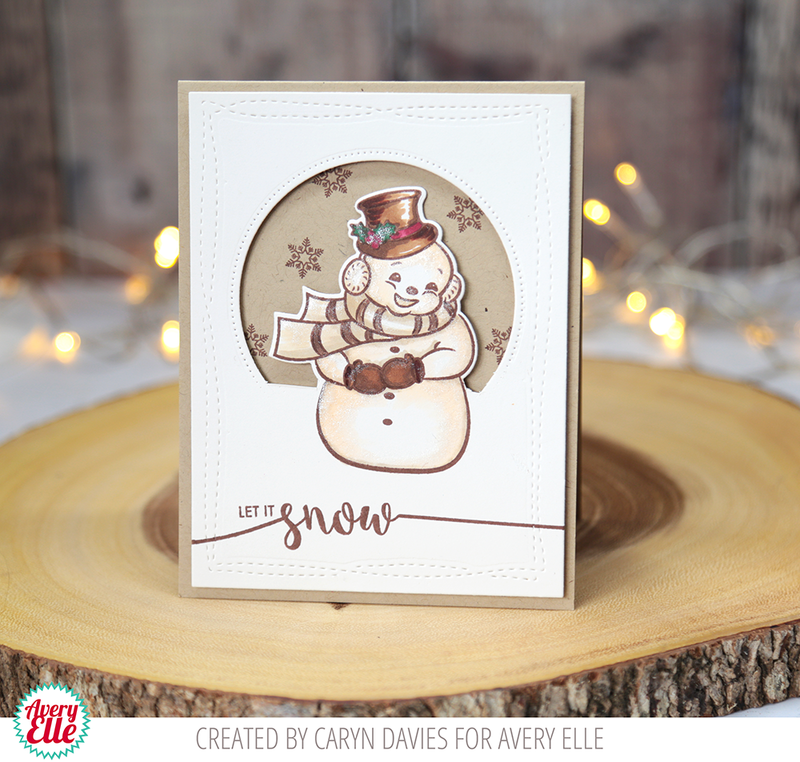 Hey there Avery Elle Fans, it's Caryn here with a card using the Frosty Friends stamp set (designed by me!). 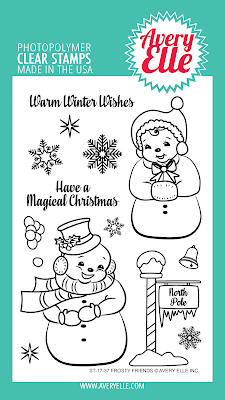 My usual take on a snowy themed card would be to reach for the pale blues and aqua shades to give a classic icy feel to the image. This time however, given the vintage style of the set I thought I'd try to recreate a more old-fashioned look, like an old sepia photo. 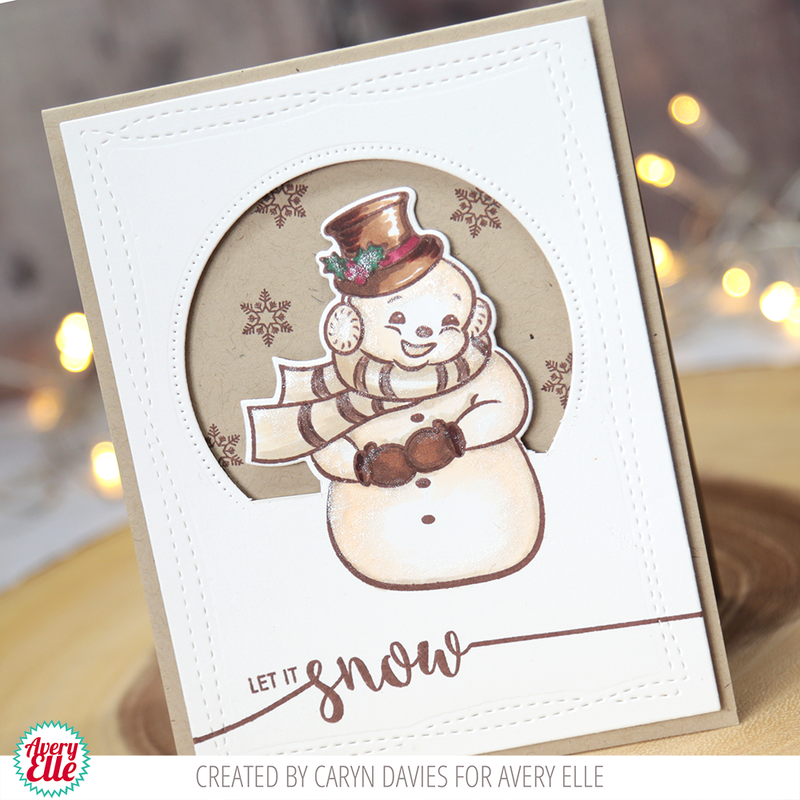 I've also made a little video showing how this card card came together using a partial die-cutting technique which is lots of fun! 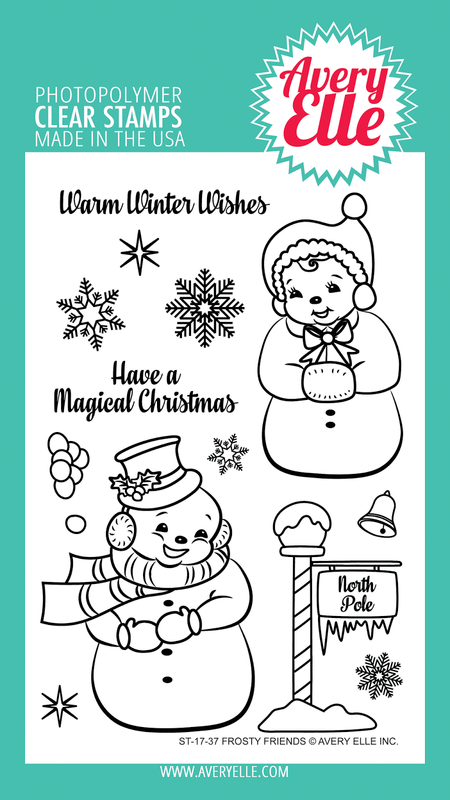 Your card is fantastic and the colors are perfect ! It was a great idea to think outside of the box. this is identical to a snowman from stickers and tags in a box at my fathers house when i was a child! How cool! Love it.